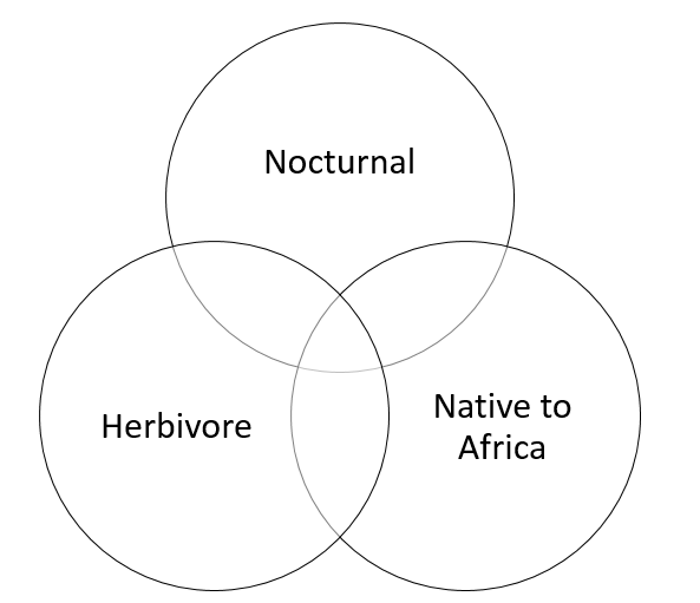 Can you click the correct section within (or outside) the Venn diagram for each Animal according to which label(s) apply? The three primary category labels apply to the entirety of the three large circles. Intersecting sections depict categories shared by two or three Animals. One Animal does not fit within the diagram, for this Animal click outside of it.